Happy Velentines Day to everyone, may your Valentine spoil you rotten. ❤️ If you need a quick and easy last minute Valentines treat then check out my last post Red Velvet Cake Batter Valentines Cookies and you won’t go wrong. But if you are after something which is less Valentine-y and will take your afternoon tea to the next level. 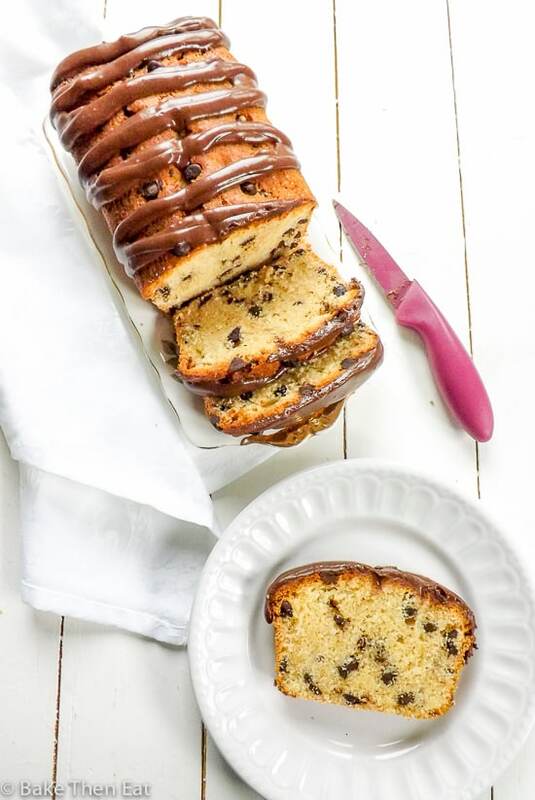 Then this Easy One Bowl Chocolate Chip Almond Loaf is what you are looking for. 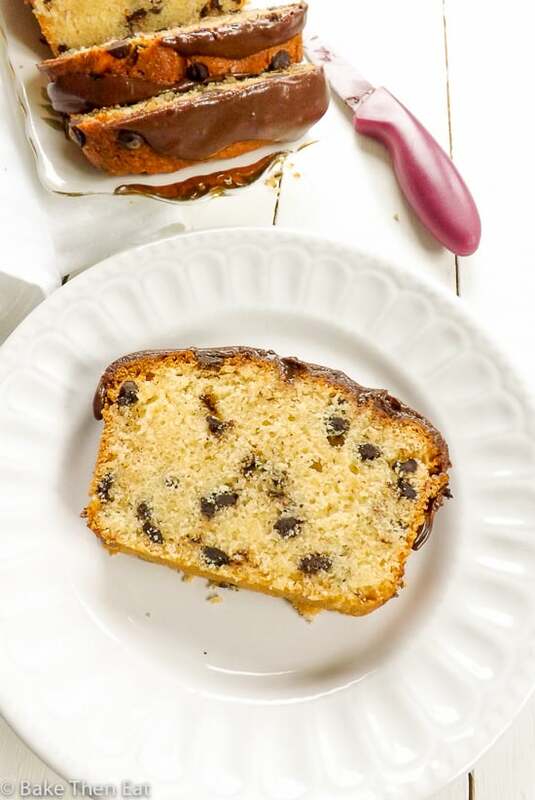 This easy peasy to make chocolate chip almond loaf cake is a synch to make. One bowl and a wooden spoon is all you need. An electric hand mixer will make it a little easier, unless you fancy a bit of a biceps work out. By hand or with a mixer this is such a simple and satisfying bake. Like a lot of cakes this one starts with the classic creaming method. We beat the butter and sugar together until they are light and fluffy. Then we add in the eggs (beating between each addition) and then almond extract and mix it all together. It’s important that we mix everything well at this point. We are adding a lot of air into the batter and this is important because it will give us a light and airy cake. Then we add in the dry ingredients of flour, ground almonds, baking powder and a pinch of salt. Then gently we fold it all together. Careful not to over mix mix at this stage! 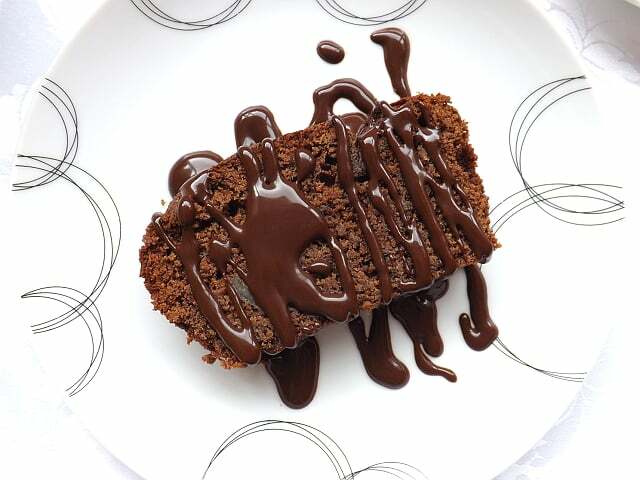 Otherwise you could knock all the air out of the batter you added to it earlier and give yourself a dense hard cake. So with a gentle hand we fold it all together. 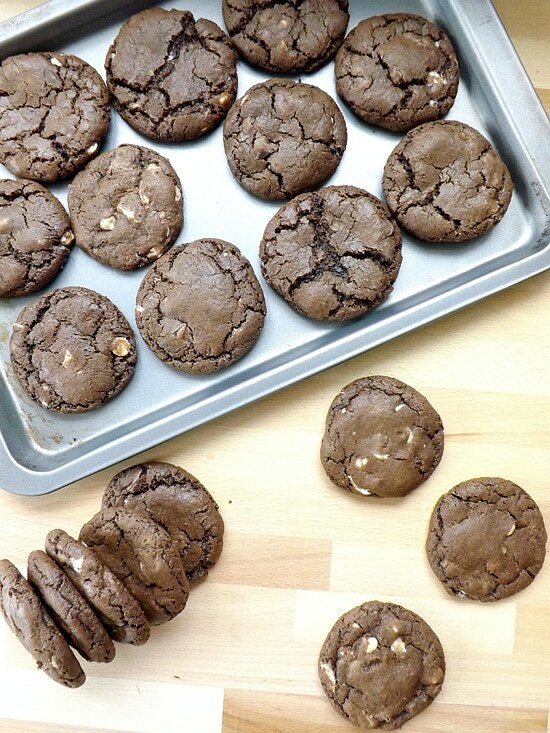 If you are using an electric stand or hand mixer then mix on low until the dry ingredients are just incorporated. Drop in the chocolate chips and gently mix them in. 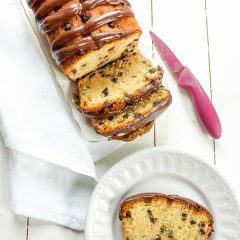 Easy One Bowl Chocolate Chip Almond Loaf is a sweet almond flavoured sponge with tantalising little bits of chocolate in every bite. So easy to make and all in one bowl! Preheat your oven to 170C / 325F / Gas mark 3 and either line or lightly grease a 2 pound loaf tin. Either by hand or in the bowl of an electric mixer beat the butter and sugar until light and fluffy. Add the eggs in one at a time beating in between each addition. Pour in the flour, ground almonds, baking powder and salt and with a gentle hand or on a very low speed mix in the flour. 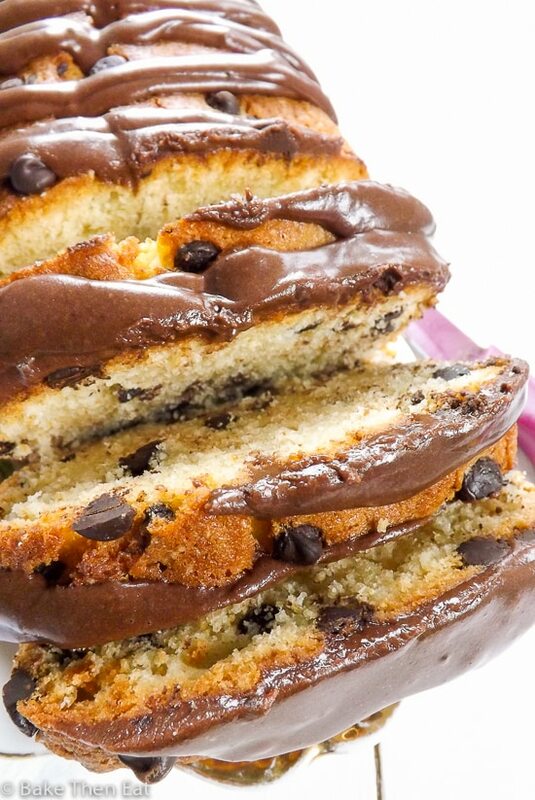 Fold in the chocolate chips very carefully. Pour the batter into the tin, and level it out and pop it into your hot oven and bake. 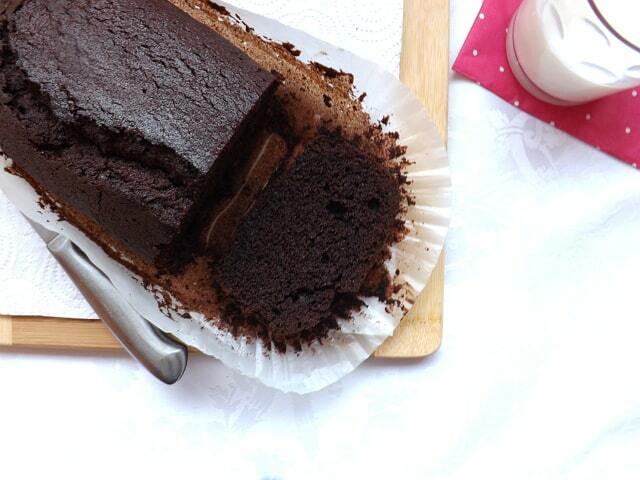 Check your cake at 50 minutes for doneness. It should have a rich golden hue to it and a pick should come out clean once inserted. I have a slow oven and my cake too closer to the 1 hour mark. But keep checking and keep a close eye on your cake. Once baked take it out of the oven and allow it to rest in its tin for 10 minutes then take it out of the tin and allow it to fully cool down on a wire rack. 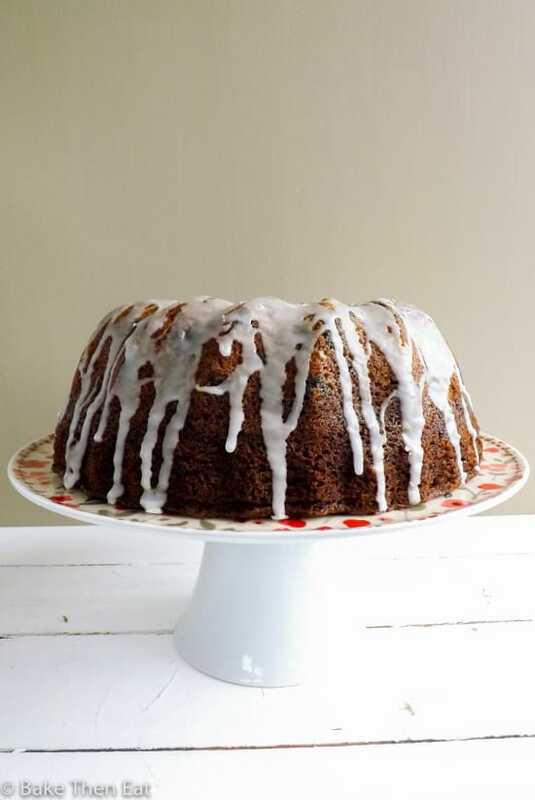 Once cool make the glaze if you wish, by mixing all the ingredients together until you have a smooth pourable mixture. This cake will keep well in a cool airtight environment for a week and unglazed it should freeze well. Looks yummy! Keep good work up, feel inspired! Hope you had a great Valentine’s Day! This cake looks incredible, Emma! Love that you only need one bowl! OMG, thats so awesome… I’m loving it! already shared on my public wall. 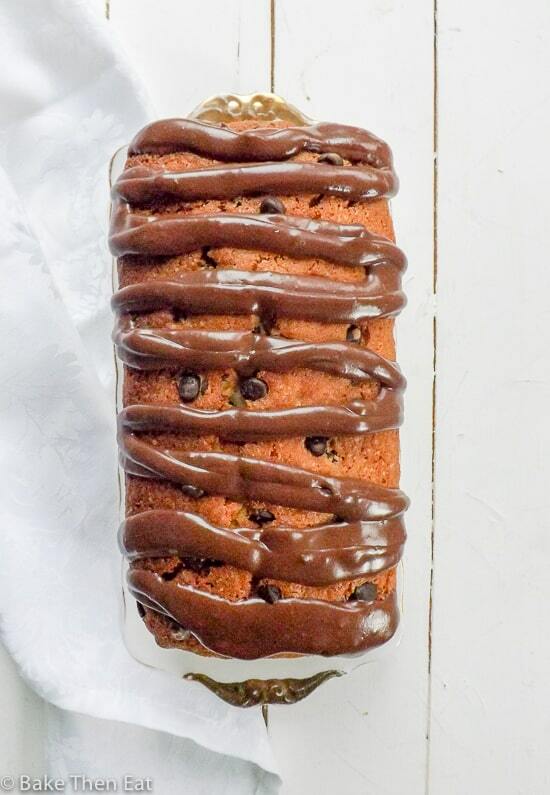 Tender, soft, nutty and chocolatey…what an amazing loaf cake! Happy Valentine’s Day to you too, Emma.